Neutral (since 05 Mar 18, 1.2335): Short-term strength has scope to extend to 1.2425. We have held the same view since last Friday (13 Apr, 1.2325) wherein we “continue to see chance for a move higher towards 1.2400 even though upward momentum has been dented”. In line with expectation, EUR rose yesterday and hit a high of 1.2394 before ending the day on a strong note (close at 1.2378). While upward momentum is still not as strong as preferred, the current short-term strength has scope to extend further to the next resistance at 1.2425. In our eyes, this is a rather critical resistance as a clear break of this level would greatly improve the odds for a move beyond last month’s peak near 1.2475 (even though it is premature to anticipate such a move at this stage). All in, we expect EUR to remain supported from here and only a break of 1.2310 (‘key support’ previously at 1.2280) would indicate that the current upward pressure has eased. GBP/USD: Neutral (since 07 Mar 18, 1.3895): Vastly improved momentum suggests further GBP strength for now. While we have held a positive GBP view since early last week, the pace of the advance since then came as a surprise (note that GBP closed higher for the 7th straight day yesterday). We highlighted in the Chart of the Day update yesterday (16 Apr, 1.4245) that “another ‘up-leg’ could not be ruled out even though the year-to-date peak of 1.4346 is likely out of reach”. GBP subsequently rallied to a high of 1.4345 during NY hours and in view of the vastly improved momentum, it appears that we have to contend with further GBP strength for now. From here, a break above last year’s 1.4346 high would shift the focus towards the next resistance at 1.4400 followed by 1.4460. On the downside, the ‘key support’ has moved higher to 1.4230 from 1.4145 previously and only a break of this level would indicate that a short-term top is in place. AUD/USD: Neutral (since 22 Mar 18, 0.7770): Corrective rebound has scope to extend higher to 0.7825. No change in view.We have maintained the same view since last Wednesday (11 Apr, 0.7760) that the corrective rebound in AUD “has scope to extend higher to 0.7825”. After holding below the short-term 0.7795/00 resistance for a couple of days, AUD broke above this level to hit a high of 0.7810 last Friday. Despite the rapid pull-back from the top, the undertone is still positive and another push higher to 0.7825 is not ruled out. That said, as highlighted previously, any advance is viewed as a “correction” and the strong 0.7825 resistance may not be easy to break. Only a move back below 0.7720 (‘key support’ previously at 0.7695) would indicate that a short-term top is in place. NZD/USD: Neutral (since 05 Feb 18, 0.7280): Odds for further NZD strength have diminished. No change in view. NZD eked out a ‘fresh high’ of 0.7395 last Friday before reversing most of its gain and closed lower for the day. Upward pressure has been dented but as long as 0.7320 is not clearly taken out, there is still room for another attempt to move towards the year-to-date high of 0.7435/40 even though the odds for such a move have diminished considerably. USD/JPY: Neutral (since 21 Feb 18, 107.35): USD is expected to trade sideways. No change in view,We noted last Friday (13 Apr, 107.25) the improved undertone “could lead to a move above 107.50” but “a break above the top of the expected 106.20/107.90 consolidation range is not expected”. 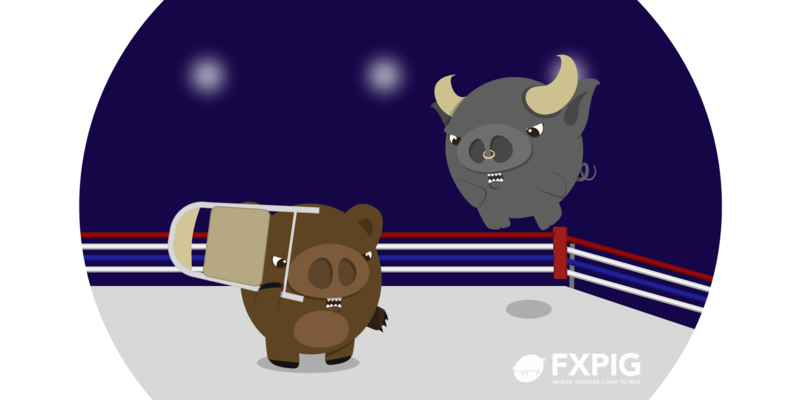 USD subsequently rose to a high of 107.77 before easing off to end the day unchanged. The price action reinforces our current view and we continue expect USD to trade sideways within the range mentioned above.